Have you seen vintage bedsprings around the shop and thought we were nuts? Why in the world would someone buy a bedspring? There are soooo many creative ways to use bedsprings! 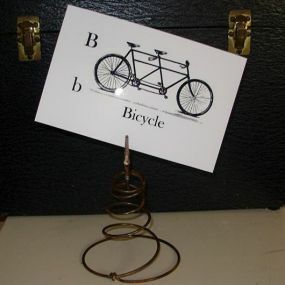 Looking for a primitive way to hold you recipe card or vintage pictures? Just add a small clip and you all set! What an unusual way to serve snacks! 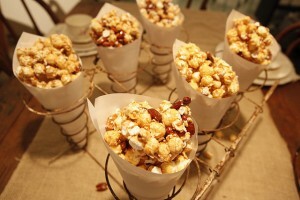 This is such a cute idea for your primitive setting, and it doesn’t take up a lot of room. And for the green thumbs! I LOVE this – I am going to create me a couple for the kitchen! 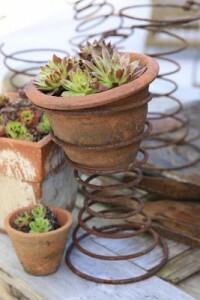 Have an awesome day, and don’t forget to share how you use vintage rusty bedsprings!